The NA64 experiment (known as P348 at the proposal stage) is a fixed-target experiment at the CERN SPS combining the active beam dump and missing energy techniques to search for rare events. The experiment will build and operate a fully hermetic detector placed on the H4 beam line with the primary goal to search for light dark bosons (Z') from dark sector that are coupled to photons, e.g. dark photons (A'), or sub-GeV Z' coupled only to quarks. In some cases the Z' is coupled only to µ or tau, so we call the Z′ the dark leptonic gauge boson. The experiment is also capable to search for K_L -> invisible decay, which is complementary to K+ -> π+ + ν ν, and invisible decays of π0, η, η′, K_S mesons. The advantage of our approach is that the sensitivity (or number of signal events) of the experiment is roughly proportional to the Z' couplig squared ε^2, associated with the Z' production in the primary interaction in the target. While in a classical beam dump experiment, it is proportional to ε^4, one ε^2 came from the Z' production, and another ε^2 is either from the probability of Z' decays or their interactions in a detector located at a large distance from the beam dump. The sensitivities of these two methods depend on the region under study in the (ε^2 ; m_Z') parameter space, background level for a particular process, available beam intensity, etc. In some cases, much less running time and primary beam intensity are required to observe a signal event with our approach. The experiment P348 was proposed to the CERN SPSC in January 2014 with the primary goal to search for the A'->invisible and A'->e+e- decay modes. In April 2014 it received recommendations for the test measurements. In January 2016 P348 was recommended for approval as a CERN SPS experiment for the search for the A'->invisible decays. 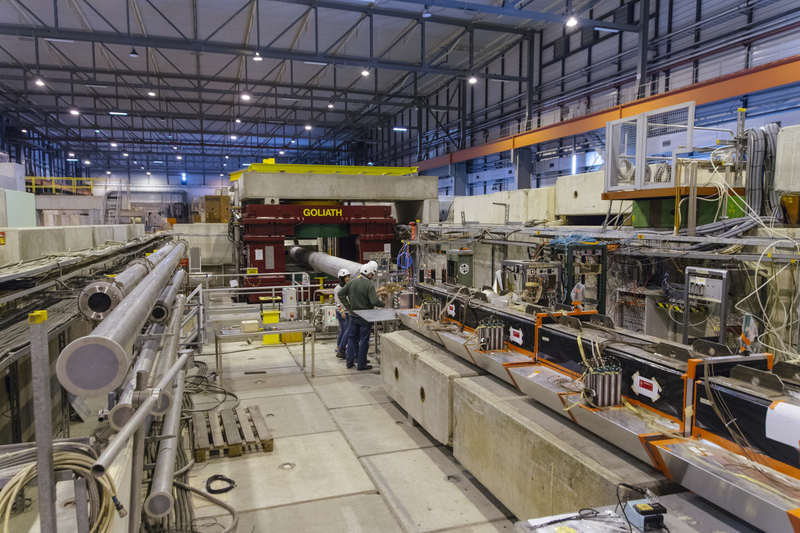 The CERN Research Board officially approved the P348 experiment on March 9, 2016 with the reference number NA64.